This series explores the dialogue between dreams and reality. 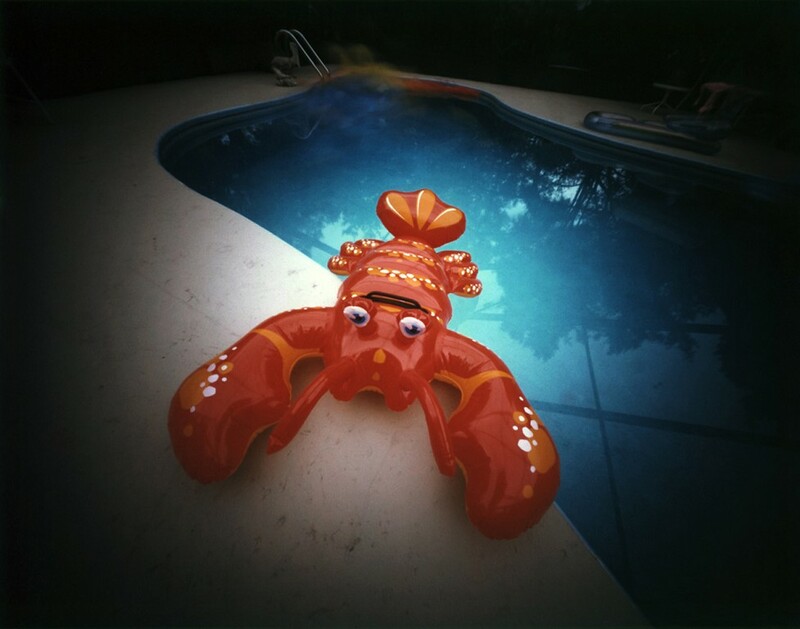 The image “Lobster” directly confronts the viewer; it seems to be emerging from the pool. The water looks placid until one looks deeper and sees the ghost images of other floating aquatic creatures. Not seeing the textures water surface is due to the long exposure time. The pool is a temptation and place of trepidation. In “Spy Shark” the smile is alluring but the background figure of the flamingo seems give a gaze to the viewer that one needs to proceed with care. The smile on the shark is a bit of an excited anticipation as crabs scurry on the back edge of the pool. It is like the smile of a child when it is in the ideal hiding place. As the toys float across the pool, shadows are cast on to the floor surface. In “Shadows” these shapes are captured on film. 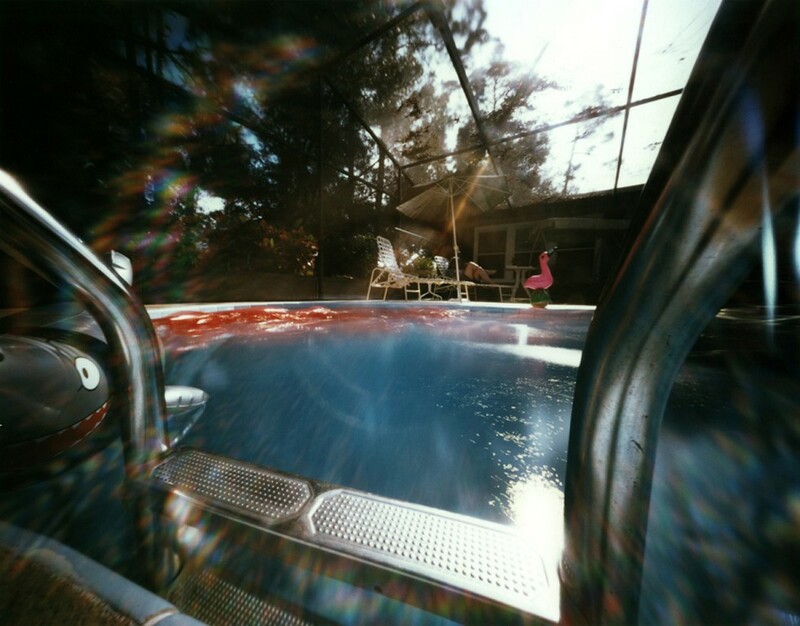 The 8×10 wooden pinhole camera was placed on a small circular float, donut in shape, facing down. The camera did not touch the surface of the water. Judging what the camera was recording was difficult but the whimsy of the images radiates out. This was one of the last images taken with the film I had available. 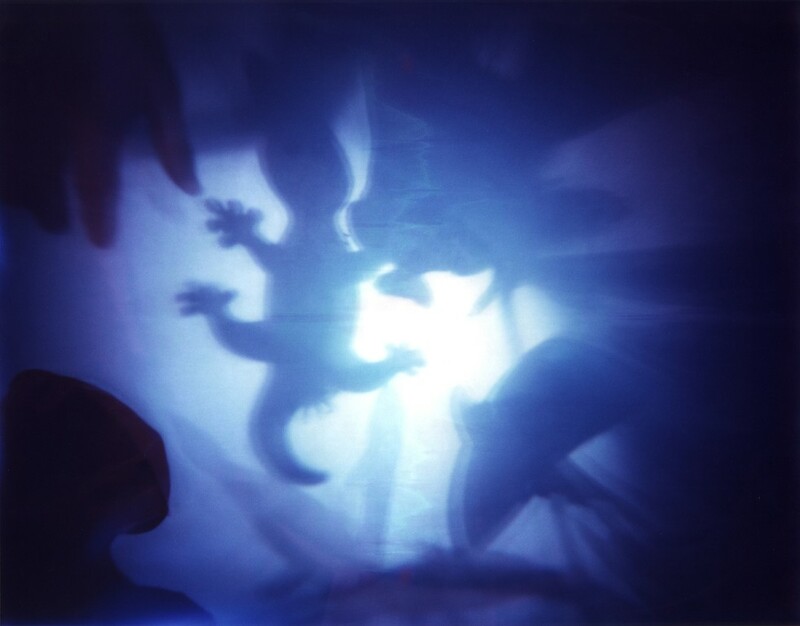 Each image had a two-minute exposure using an 8×10 pinhole camera exposing on 809 Polaroid film which is no longer available. The original 8×10 images are unique one of a kind works of art and are very delicate. Presented here are digital reconstructions that have been enlarged slightly.